There's an episode of the Simpsons in which Homer needs to get something for Marge for Valentine's day and, being the selfish slob that he is, he doesn't do anything until the moment is upon him. He rushes off the the Kwik-E-Mart and the proprietor, Apu, blows the dust off of a large heart-shaped box of chocolates and offers to sell it at a ridiculous price. The point here is both that you can get gouged on price if you wait until the last minute and buying your Valentine's goodies from a convenience store is not really the best idea - at least not in the United States. Images courtesy of Mini Stop's web site. In Japan, since Valentine's Day is not a romantic holiday (despite all of the hearts, someone missed the point), you can get your "giri choco" (obligation chocolate) anywhere you want. 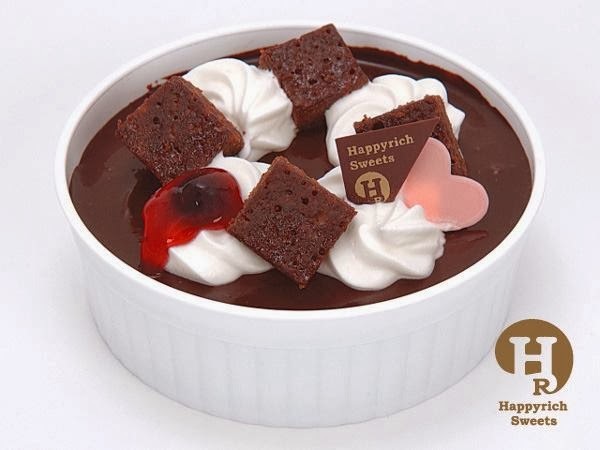 The picture at the top is a rather random-looking collection of sweets piled on top of what looks like pudding/mousse. This will be available for 3 days only (so rush out and get one now) and is 500 yen (around $5). I think that is not the sort of thing people buy for others, but rather buy for themselves. 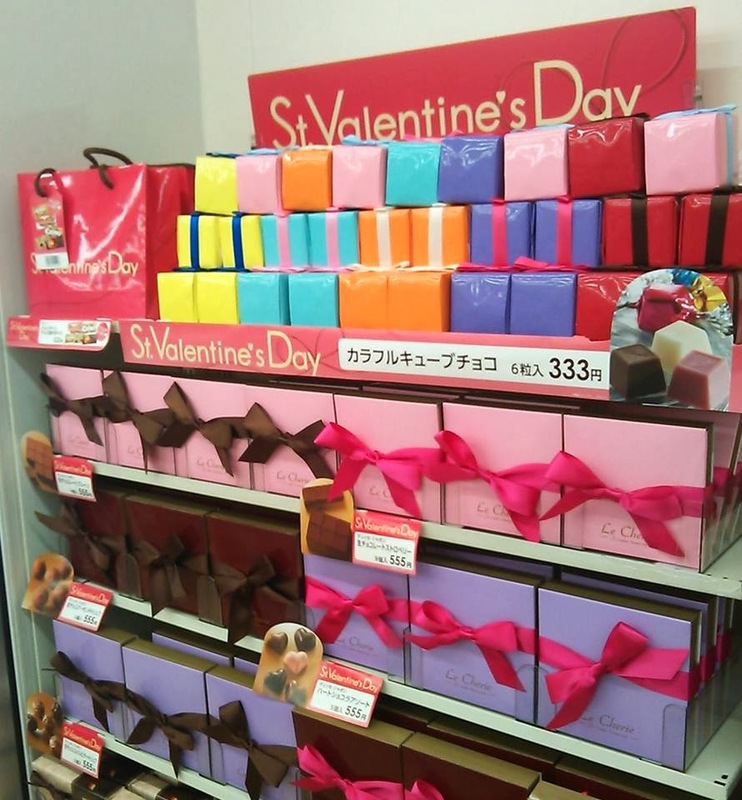 The second picture is a display which offers "colorful chocolate" in boxes with 6 pieces for the price of 333 yen (about $3.25). I'm not sure how that price was arrived at. It is a curious one, but I'm guessing that it has little meaning other than being fairly cheap and easy to remember. Of course, I grew up learning that "Three is a magic number", so perhaps that has something to do with it. They look really good! Who doesn't love chocolate right?